All of the noise surrounding last week’s highly unfortunate RCA resolution makes it seem as though the question of women rabbis is the most contentious issue in Orthodoxy right now . But actually, it isn’t. There are, in fact, some deep and significant disagreements between the movement calling itself “Open Orthodoxy” and the RCA- and YU-led establishment . But regarding women rabbis, there really isn’t much of an argument. I know that sounds absurd, but it’s true. Open Orthodox institutions, led by Rabbi Avi Weiss’ Yeshivat Maharat, have been arguing for years that there is no halachic reason why women can’t be rabbis. The RCA, for its part, has insisted adamantly and repeatedly that such a step would be a prohibited violation of tradition. But at the same time, the RCA emphatically affirmed that women may serve in various communal positions involving Torah scholarship, teaching and leadership. They even provided a list of several such approved positions, all of which are very similar to functions carried out by rabbis. 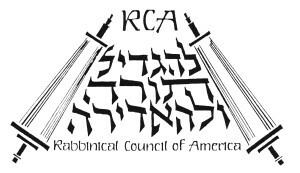 The only restriction the RCA placed on these female religious leaders is that they must not “use a title implying rabbinic ordination” or “be recognized as members of the Orthodox rabbinate, regardless of the title used”. This strange and incoherent demand is the crux of the argument. It was an unfortunate statement, because it created the impression that this is all about symbolism, not substance, and therefore led to a lot of cynicism and nasty accusations against the RCA and its rabbis. But in truth, it actually wasn’t a childish statement about semantics and recognition. Rather, it was a very poorly-expressed attempt to make an important point about which Open Orthodoxy basically agrees! The entire problem here is that the term “rabbi,” as commonly used today, does not have any halachic significance . The same is true for the terms “ordination,” “rabbinate” and “clergy” used in the RCA resolution: none of these are halachic categories. Rather, these terms are all rooted in aspects of our contemporary reality, and each one of them refers to a variety of different roles. Open Orthodox leaders agree that women are indeed barred from serving in some of the positions referred to by those terms. But other such positions include the very same roles the RCA endorsed for women. For example, the judges on a Bet Din (a halachic court which is often called a “rabbinical court”) are usually called “rabbis”, although their more accurate title is “dayanim“. As far as I know, all those arguing in favor of women’s ordination acknowledge that women cannot serve as dayanim, and therefore when they speak of “ordaining women as rabbis” they don’t mean to say that these women can then serve on Batei Din. Rather, as is made clear in this post, they use the term to mean something else. On the other hand, many hospitals, nursing homes and other such institutions employ a Jewish religious figure whose job it is to provide counseling and spiritual comfort to patients and residents. Although this chaplain is usually also referred to as “rabbi”, I assume all agree that there is no problem with a woman filling this role. People who teach Torah are also called “rabbis”. So are kashrut supervisors and others who are entrusted with upholding halachic standards. And of course, leaders of synagogues who deliver speeches during prayer services, sometimes also serving as shliach tzibbur or reading from the Torah, are also called “rabbis”. While there is some debate as to exactly which of these functions women can perform and which they cannot, both camps agree that women can definitely perform some of them, and can definitely not perform others. So what it boils down to is that the Open Orthodox people want to ordain women as “rabbis”, with the understanding that the authority granted by this title is somewhat different than that which is granted to a man. The RCA, though, is concerned about blurring these differences. As an attempt to address that problem, the term “Maharat” was invented. However, the RCA seems to feel that this change of terminology is insufficient, and felt the need to emphasize once more that these women leaders are doing wonderful things but “are not rabbis or members of the rabbinate”. The problem, though, is that although they endorsed female religious leaders and clarified what title or status they do not have, they neglected to grant them any alternate title or status instead. And that is the entire problem. Here is what the RCA needs to do in order to solve the argument: They must create a title and status for women religious leaders, using any terminology they find appropriate. They can explain that these female leaders are not “rabbis”, but rather religious leaders of a different type. They should then create a women’s division within the RCA, or a separate sister organization to represent these female leaders, and should make clear that they and the rabbis are colleagues with different responsibilities and authorities, but equal status. They may continue to clarify that since these female leaders are not “rabbis,” they are also not “members of the rabbinate”. But they should also clarify that the women and the rabbis together constitute the joint leadership of the Jewish community (perhaps the term “clergy” can be helpful here as an umbrella that can encompass both the rabbinate and the women’s branch of the Orthodox religious leadership). They should make sure there are some scholarly, outspoken women who are well-respected and fully committed to scrupulous halachic observance heading the new branch. If the RCA would do this, regardless of the title they choose, they can solve the argument and win back the respect of people. This post concerns the controversy currently playing out in the United States. We have similar issues here in Israel, but they aren’t coming to a head just yet. See, for example, this important article by my teacher Rabbi Dr. David Berger. The terms “rabbi” and “semicha” (ordination) do appear in the Talmud, but they refer to a form of halachic authority which was suspended at least 1000 years ago and is currently inoperable. The document currently referred to as “semicha” is merely a license to answer halachic questions. This license does have halachic significance (see Sanhedrin 5a, Rambam Hilchot Sanhedrin 4:8 and Shulchan Aruch Yoreh Deah 242), and there is a debate among contemporary authorities as to whether it may or may not be granted to women. However, as I make clear above, this argument is only tangentially related to the issue at hand. This entry was posted in Uncategorized on November 10, 2015 by rabbihaber. Correct me if I am wrong, but did the RCA decision not also “outlaw” as acceptable the terms that were different and used by the Open Orthodox movement, such as Maharat, or even Rabba (which in its very difference, of feminizing the term Rabbi indicates a different status)? Why does the RCA need to come up with different terms, if such different terms already exist? I don’t know why they need alternate titles. My point is that their resolution states that the title is not their issue anyway. So I am inviting them to pick whatever title they feel comfortable with, as long as they recognize these women and their status. I am suggesting that to them, the title IS the issue, along with the added power it brings. The fact that you suggest they come up with a new title, when they rejected such titles belies where their thoughts really are, despite what they may have written. Alan, thank you for this well written piece. It appears to me that the RCA is against considering any woman a member of joint leadership or clergy. I also note that the RCA is forbidding hiring individuals who have graduated from these programs in any capacity, even one that would be considered permitted in the manner you mention above. Had the RCA come out and stated that based on gemara XY and Z, women with these titles are only permitted to be hired for positions AB and C, then perhaps you would not need to write this. I asked my Rabbi what his position was and he said he doesn’t know anything about this, and did not vote on anything like that (he is a member of the RCA)…which is interesting because it was stated that the vote was unanimous. I completely agree with your message but I think you give those at the RCA to much credit and this is a childish attempt to maintain their fiefdom at the expense of their credibility. I often hear religious feminist women complain about people questioning their motives and saying things like “she is only learning to prove she is just as good as the men” or something like that. I agree completely – we should judge positions and actions, not people. Whether you agree with them or not, they deserve the presumption of pure motives. Can we give the same courtesy to the rabbis with different opinions? Let’s disagree with them, if necessary, without questioning their motives. As to the main issue of whether or not they are willing to allow leadership roles for women, the resolution already did that. What I am suggesting is the logical next step, and in my mind does not contradict their principles. will they agree? I do not know. Rabbi, what about answering halakhic questions? You somewhat address it in your footnote, but I’ve ready many argue that women cannot pasken, which is another major role a “rabbi” plays. I have read that at least 3 former Israeli chief rabbis and other rabbis squarely in the Orthodox “camp” argue that learned women can, indeed, pasken. Elanit, indeed, as I alluded to in the footnote, there is some debate about that among poskim, and there are many who allow it. For whatever it is worth I would personally have no problem whatsoever following such a psak from a qualified woman. I was deliberately vague, though, because that can be a detail about which people argue. The primary suggestion I am making can work either way. A voice of sanity in this maelstrom. Unfortunately I don’t think the RCA leadership is quite that sane. Also, though I realize it’s a compromise, there’s an inherent condescension built into this solution. It assumes that women rabbis couldn’t be trusted to adhere to their halachic limitations. It would be similar to forcing a different rabbinic title on Kohanim for fear they might officiate at funerals. It assumes that Open Orthodox people (including women) can’t be trusted to adhere to their halachic limitations. Which is accurate. Nice try, but not the point I was making. Now that this matter of female rabbi was raised, again, can I assume women are now to be included in the minyan counting when holding services. I witnessed minyanim where the service was paused, just before the Barchu of the morning service, hoping (if not praying) the tenth man would join in, whilst behind (why behind?) the mehitsa there were plenty of women who are not being counted and therefore are as if they were not even in the sanctuary. I find that quite insulting and offensive, even if some or all of the women sitting behind the mehitsa do not feel that way. Furthermore, and please excuse my ignorance, but why can not women serve as dayanim? מיכאל, I understand why some people might find the differences between men and women in halacha to be insulting and offensive. At the same time, I think that’s a misunderstanding. The reasons why are outside the scope of the present conversation, and are worthy of a blog post of their own (perhaps in the near future). For now, I would like to just point out that maybe this comment can provide some kind of answer to the previous one by Michael. If the RCA is concerned that conferring the title “rabbi” upon women might lead people to erroneously conclude that halacha no longer maintains any distinctions between the genders…perhaps that concern is in fact justified.